Virginie Amélie Avegno was born in New Orleans on January 29, 1859, the daughter of Anatole Placide Avegno (July 3, 1835 – April 1862) and Marie Virginie de Ternant, of Parlange Plantation. She had a sister, Valentine, who died of yellow fever. Her parents were white Creoles; her father was the son of Philippe Avegno (Italian) and Catherine Genois. Her mother was a descendant of French nobility. Her father served as a major in the Confederate Army during the Civil War; he died in 1862 in the Battle of Shiloh. He was the commander of the Avegno Zouaves of New Orleans, a cosmopolitan battalion which had soldiers from a wide variety of ethnic backgrounds including French, Spanish, Mexican, Irish, Italian, Chinese, German, Dutch, and Filipino soldiers. In 1867, when Virginia was eight, her widowed mother moved with her to France. The girl was educated in Paris and introduced to high French society. Virginie Avegno became one of Paris' conspicuous beauties, as she was a pale-skinned brunette with fine, cameo-like features and an hourglass figure. She was known to use lavender-colored face and body powder to enhance her complexion, to dye her hair with henna, and to color her eyebrows. She attracted much admiration due to her elegance and style. She married Pierre Gautreau, a French banker and shipping magnate. She had a daughter named Louise Gautreau (1879-1911). She was rumored to have had numerous affairs. She posed for paintings by several noted 19th-century painters, including Gustave Courtois and Antonio de La Gandara. Most famously, she was the model for John Singer Sargent's Portrait of Madame X. The painting created a cultural scandal when it was exhibited in 1884 at the Paris Salon. The suggestiveness of the portrait and the style of clothing were considered scandalous, as well as publicizing Gautreau's reputation. Such a high-class woman would not usually be a model. The scandal caused Gautreau to retire for some time from society. Antonio de La Gandara painted a full-length portrait of her, entitled Madame Gautreau (1898). In tonality of colors, privacy of her face, and style of her dress, it was more conservative than Sargent's painting. William George Helis, Sr., born on October 17, 1886, was an impoverished Greek emigrant to the United States who made a fortune in the oil business and became a major owner/breeder of thoroughbred racehorses and a racetrack owner. In his obituary, the Pittsburg Press called William Helis "one of the amazing figures of the American oilfields." A resident with legal domicile in New Orleans, he died in Johns Hopkins Hospital in Baltimore on July 25, 1950. His remains were brought home to New Orleans where he was interred in the Metairie Cemetery. His mausoleum was built by American architect and sculptor, Albert Weiblen. In 1991, William Helis was posthumously inducted into the Fair Grounds Racing Hall of Fame). Born in New Orleans on July 25, 1899, musician Johnny Wiggs (Born John Wigginton Hyman) started his music career on the violin, then the cornet. In the late 1920s he took a job as a teacher, adopted the stage name "Johnny Wiggs), and moonlighted in New Orleans jazz clubs at night. He made his first recordings as "John Hyman's Bayou Stompers" in the late 1920s. In the 1940s he quit teaching (after having trained a young Pete Fountain), led several bands, made some recordings, and became an an important figure in the revival and preservation of the local music by founding the New Orleans Jazz Club. Hyman remained active until the 1970s. He passed away on in New Orleans on October 10, 1977. July 25-28, 1819: Hurricane affected the coast from Louisiana to Alabama. Its full force was felt at Bay St. Louis. New Orleans was at the fringe of the storm and suffered no severe damage. Ships at Balize (Pilottown) suffered a strong gale for 24 hours, but only 3 ships were grounded. 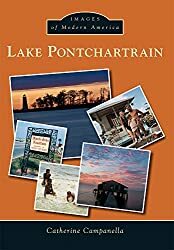 Lakes Pontchartrain and Borgne rose 5 to 6 feet during the storm. Forty one lives were lost on the U.S. Man of War schooner Firebrand, a 150 ton gun ship, while it lay off the west end of Cat Island. In total, 43 people lost their lives.